It’s that time of year isn’t it when we aim to set our New Year’s Resolutions! But what’s that all about? How many of us set them let alone achieve them? Aren’t they just the same as goals? And if we look at how many of us set goals and not achieve them, or at least find they were unachievable in the first place! 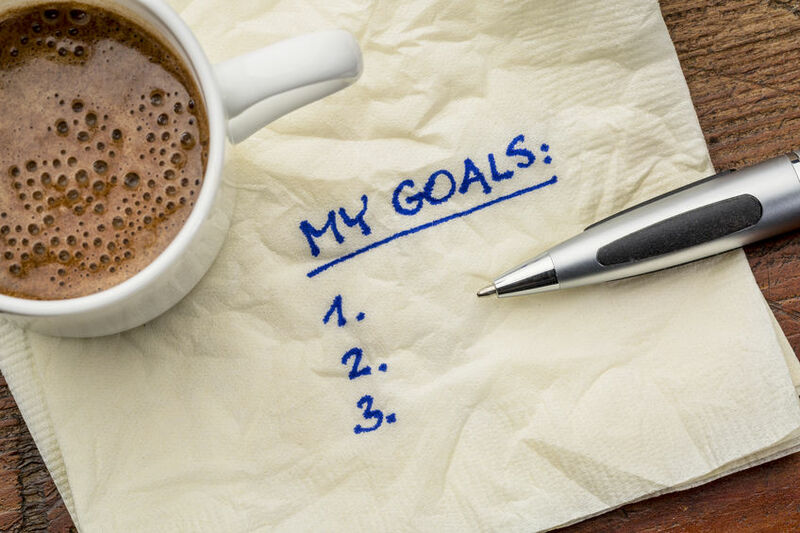 We know our goals need to be SMART – specific; measurable; achievable; realistic; timescale, but do we focus on outcome of where we are going to be and how we are going to feel at the end? Most of us don’t achieve our goals because there is no emotional benefit for us; it’s just too hard; we often just set goals for things we know we should be doing rather than what we want to do, no wonder we don’t achieve. You may be reading this and be one of those people that do set and achieve goals and live by them. You will be thinking why on earth don’t people set and achieve goals because you will see how much you benefit by having them and using them as a guide and a template to achieve what you want to. So how can those of us who either don’t set goals, or set them and don’t achieve them or even look at them, work towards incorporating this in our lives?